Carl thank you for this! (We met for the first time at Nutmeg on Monday night.) I think you’ve just convinced me to go for the new 3520C – unless you’re selling your old model B cheaply. Colin, Sorry, I already sold the mode B for $3000. Outstanding review, Carl. I plan to put a link on the Mustard Monster site to your review. Carl … Many thanks for this detailed blog! My lathe is on a truck somewhere headed toward Wisconsin … thanks to your work, I know what to expect and will be better prepared. Thanks for the great pictorial review. My lathe hasn’t arrived yet so I haven’t had a chance to look at the non-standard wiring switch. Is there any chance you could post a picture of how to wire it? I’d like to avoid that $100 electrician visit. I am a bit reluctant to show a photo because I don’t want people who should not be messing with electric suing me. 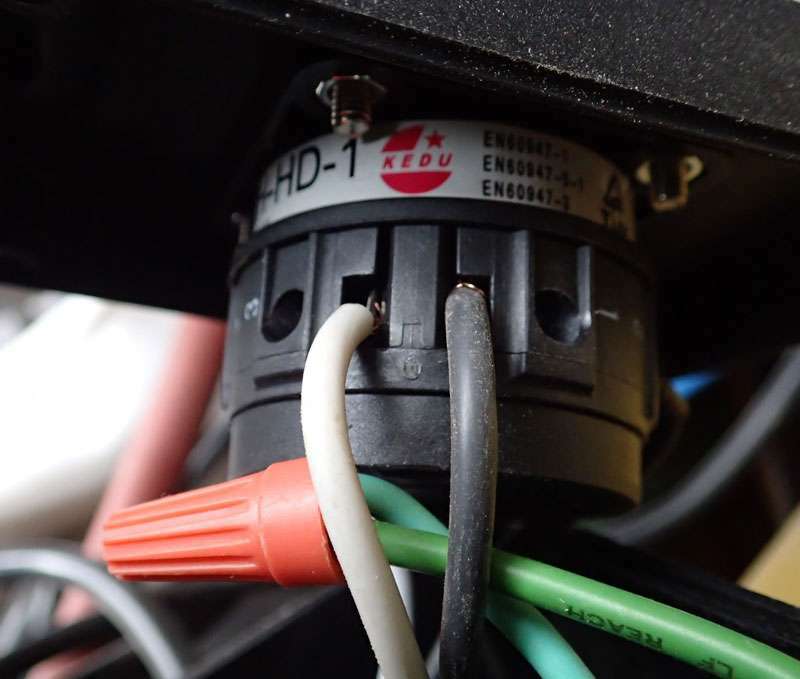 The non standard switch is made by Kedu it is a ZH-HD-1 made in China. Rated at 3.0hp, 240 volt, 20 amp. Here is a photo. It’s really hard to get a good photo. The black, white and green wires are from my power cord. I connected the white wire to #3 and the black wire to #1. Wire nutted the green wire to green ground leader. Note: Black and white, #1 verses #3 connection is really a don’t care because it is 220 volts, single phase.